See Charlotte Dujardin in action every day at this year's show plus shop the UK's biggest equestrian shopping event. FRIDAY is ‘TRAIN LIKE THE STARS’ day! Charlotte Dujardin, alongside an array of top coaches will share their top training tips to help you reach your goal being it riding or coaching. 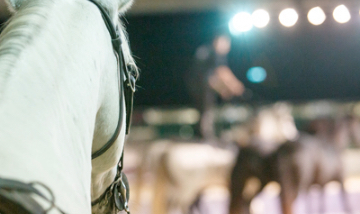 Be inspired, amazed and informed with our Masterclasses covering Dressage, Show Jumping, Eventing and Showing. Be part of the most unique equestrian show in the UK - there is only one Your Horse Live! On Friday 9th November the Main Arena will be taken over by the very best trainers in the UK - supported by all the associations. 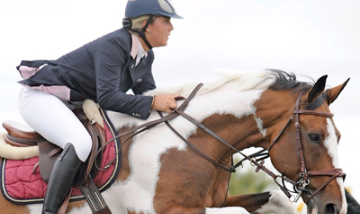 See Charlotte Dujardin in action on all three days. Make sure you don’t miss a performance and get guaranteed seating in the Main Arena with our Standard Plus* and VIP tickets! 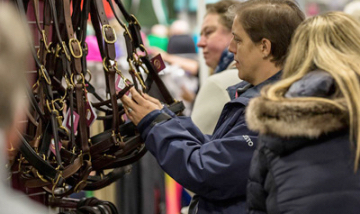 The uk’s biggest equine retail village for one weekend only. The shopping halls are packed full of top equestrian brands and great bargains with over 400 exhibitors all under one roof.